What Do I Feed My Female Dog? 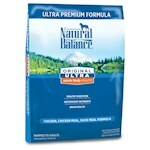 People don't often realize it, but just like humans, male and female dogs have different dietary needs. Here are some tips for keeping your lady pooch healthy at all stages of her life, from puppyhood to her senior years. You may already be familiar with some of the guidelines for selecting your dog’s food, but have you considered the special nutritional needs of your female dog? 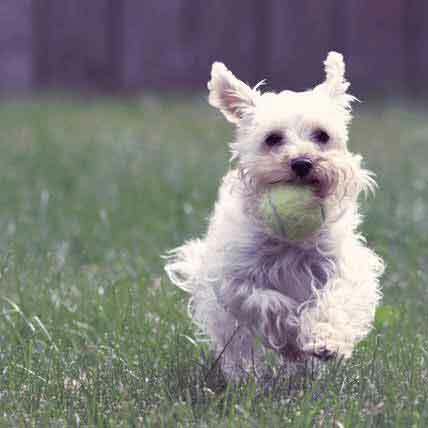 Here are some tips you should know for keeping your companion healthy at all stages of her life, from puppyhood to her senior years. Pregnant and lactating dogs, in particular, need special care. If you’re not planning to breed your female dog, she should be spayed as early as possible. Spaying your dog not only prevents pregnancy and heat cycles, but also greatly lowers her risk for several potentially fatal diseases, including a severe uterine infection called pyometra and mammary cancer. After the surgery, she may require a few extra calories while her body recovers and heals, so have a high-calorie food on hand for 5-7 days. Early in her pregnancy (the first 30 days), your dog will not need any different food from a normal adult dog, however for the last half of pregnancy it is a good idea to supply about 30-50% more calories, depending on the number of puppies. Many dogs refuse food starting approximately 12-24 hours before whelping. You will need to put in extra effort at this particular time to be sure she’s at least staying hydrated. But for the rest of her pregnancy, particularly the last trimester, you should notice an increase in appetite and weight gain. If she is eating high quality food, she shouldn’t require any additional dietary supplements during the pregnancy. After she gives birth, your dog can be responsible for nursing as many as 8-10 puppies, and if there are more than 8 puppies it is important to rotate them through nursing and to weigh them regularly to make sure they are all gaining weight. Understandably, this is very draining on your dog’s body. In fact, nutritional deficiencies from pregnancy are most likely to occur in the first 4 weeks of nursing. In smaller litters you can assume that each puppy will require a 25% increase in her caloric intake, up to around a 200% increase. For example, a Golden Retriever mom eating 3 cups of a high quality food to maintain herself normally would need 9 cups to sustain herself and 8-10 puppies. Many pet owners find it beneficial to allow their late stage pregnant or nursing dogs constant access to dry food. This is known as “free feeding.” You will be able to resume portion control feeding after her puppies have been weaned. If your lactating dog experiences diarrhea, this may be a sign that her food intake is high to keep up with the demands of providing milk to those puppies. To help her keep her puppies fed and avoid tummy troubles, providing a more energy dense food may be the solution. For any litter of 6 puppies or more, look for a dry puppy food or active dog food that’s at least 30% protein and 20% fat, or a wet food that’s at least 7% protein and 5% fat. This will allow you to decrease the amount of food you give to the mother and still keep all those pups well fed. 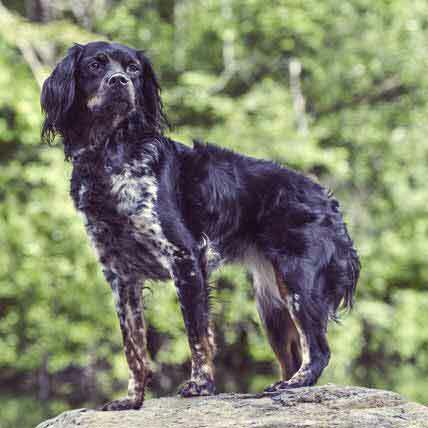 Urinary tract infections (UTIs) are one of the most common diseases in dogs. And unfortunately, older female dogs are more susceptible to them than their male counterparts. Because of the serious nature of UTIs, all home treatments should be utilized in conjunction with therapies from your veterinarian. But there are some holistic ways you can try to prevent UTIs from occurring and shorten their duration. As with humans, cranberry supplements containing vitamin C, hippuric acid and antioxidants may be helpful as an immune system booster in dogs. 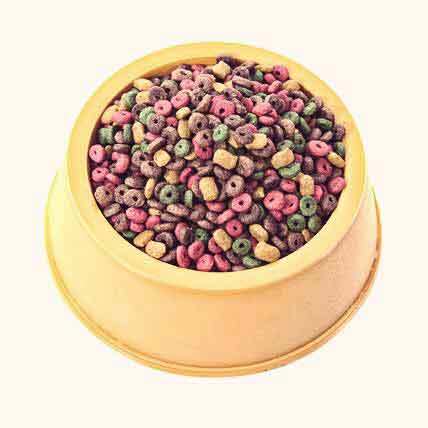 Ash: Pet Food Filler or Nutrient? 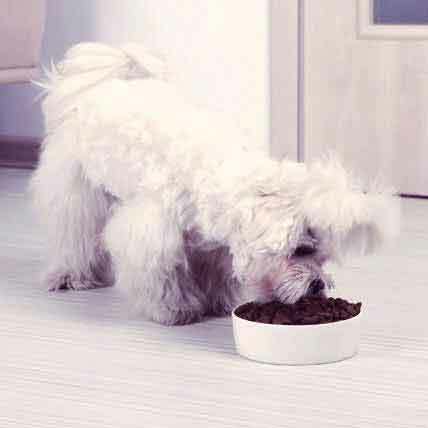 Wet or Dry Dog Food: Which is Better? 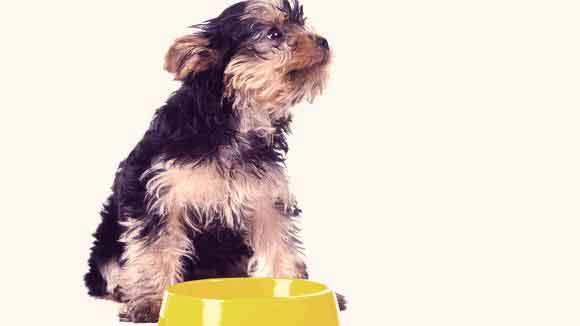 Should Fiber Be in Dog Food?